The return of chilly temps puts us in the mood for a wintery outing. 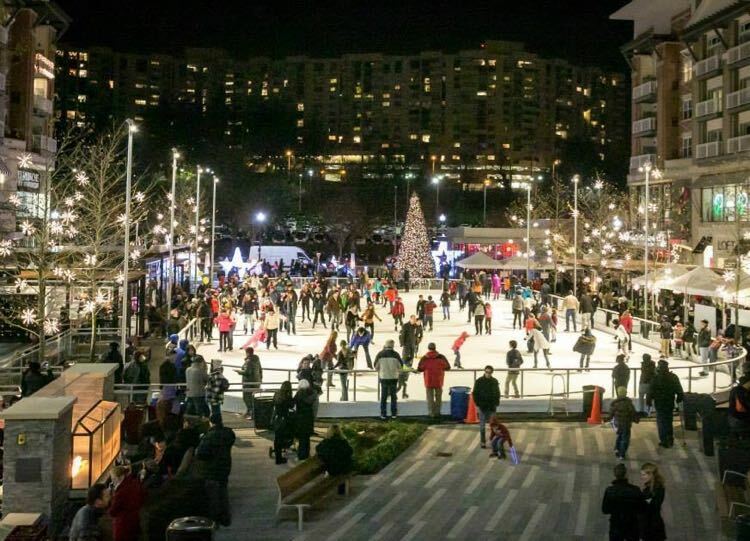 These Northern Virginia ice skating rinks offer healthy winter fun for every age, whether you prefer to skate indoors or out. Each ice skating destination offers smooth ice, happy music, and nearby fun, so we suggest you visit them all. 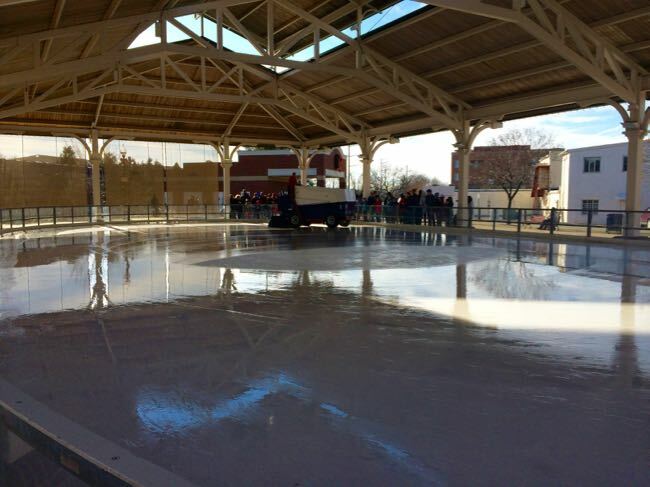 Seasonal ice skating takes over the Harris Pavilion in Old Town Manassas from mid-November through February. The pavilion offers a generous covered rink with a nice sound system pumping out music to glide to. All sessions are open skate, and skate rentals are available for $5. Skating is $9/$8 adults/children 10 and under. The rink is open daily in November and December, except Thanksgiving and Christmas Day, and hours vary. The rink is closed Monday and Tuesday in January and February. During those months, you can skate free on Wednesday’s from 6:00 to 8:00. Follow the link for details and special event closures. Historic Manassas is full of restaurants, shops, and historic sites, so allow time after your skating session to explore. Better yet book a room in Manassas and enjoy a winter mini-vacation. 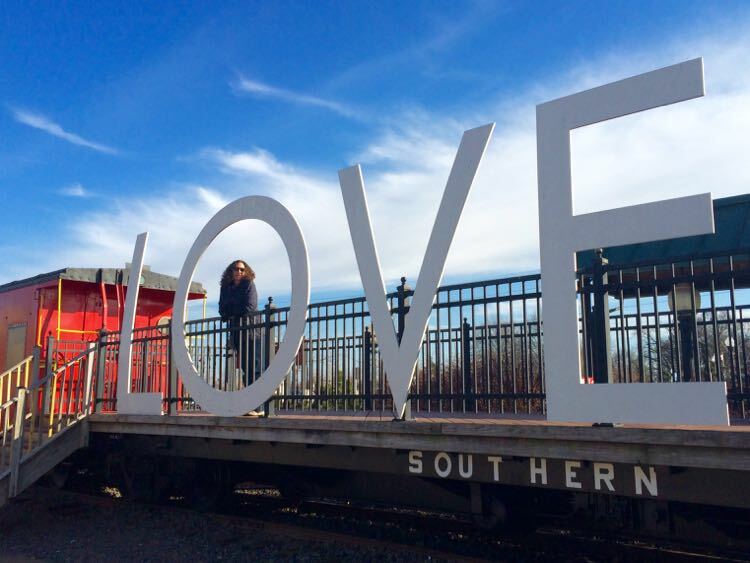 The Manassas Train Depot is a great spot for a photo with the Virginia LOVE sign. Skating can get a little cozy at the popular Reston Town Center rink, but the vibe is upbeat and the staff does their best to keep everyone happy. The covered rink is open daily from November until early March, including Christmas and New Years. There are special kid-targeted events on the weekend—Rock the Rink on Friday nights from 8:00 to 10:00; Cartoon Skate on Saturday morning from 11:00 t0 1:00. There is also a College Skate Night on Thursdays from 6:00 to 9:00 ($2 off with a Valid College ID). If you visit on a primetime weekend, expect a crowd. Adult admission is $10; youth under 12, Seniors, and Military $9; $6 for skate rentals. Follow your skating fun with a stop at any of the terrific Reston Town Center restaurants and bars, or rest your feet at a movie. Clyde’s is our pick for delicious crab cakes and a view of the skaters, but we’ve also had tasty meals at Vapiano, Big Bowl, Jackson’s and many others. If the weather is warm enough, the tables by the fountain provide an excellent spot to sit and people watch. Remember that parking is free in the evenings and weekends, otherwise plan to pay for your spot. Pentagon Row boasts the largest outdoor ice skating rink in Northern Virginia, with 6,840 feet of space to glide and twirl. A 2013 renovation also added a two-sided fireplace, next to the rink, offering a cozy place to relax. The rink is open daily from late October through mid-March, including major holidays. Prices are $9 for skaters 13 and up; $8 for those under 12 and Seniors over 55. Skate rentals are $5. CLOSED. 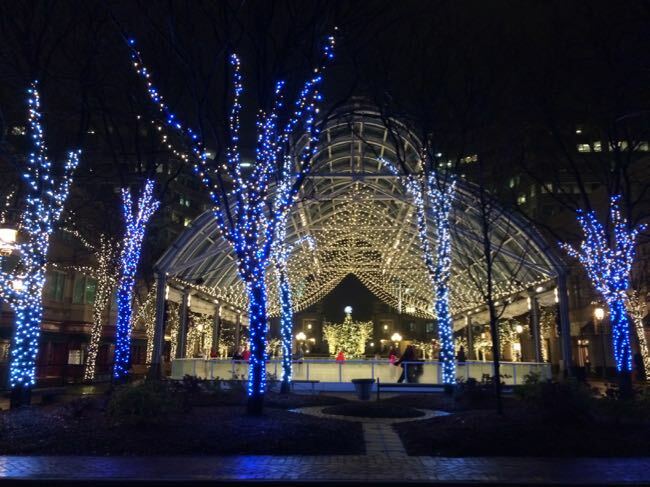 The Tysons Ice Skating Rink is not open for the 2018/2019 winter season. You can still visit the Tysons Corner Plaza and see the giant Christmas Tree in 2018, but the ice skating rink did not return this year. When it’s just too cold outside, or you’re looking to cool down during the warmer months, these indoor Northern Virginia ice skating rinks are the place to go. SkateQuest’s two large rinks are often occupied with hockey, figure skating, lessons, and camps, so public skating hours vary and are not available every day. When public skating is offered, you’ll find good quality ice, a lot of room to spread out, and pleasant staff. Admission is $8 for adults, $7 for 12 and under, and skate rentals are $4. Check the website for public skating hours and special deals. There’s a cafe in the building, and there are plenty of restaurants at nearby Plaza America. 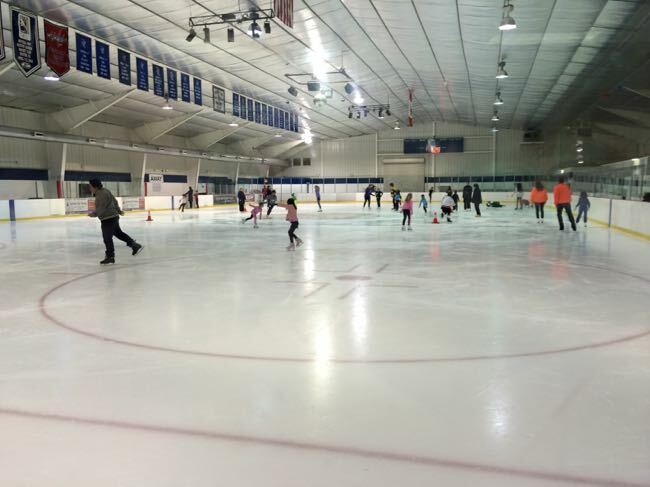 The Ashburn Ice House has two large rinks, but the hours for public skating vary so check the schedule. The rink is a popular spot for hockey games, figure skating, camps, and skating lessons. Admission during public skating hours is $9 for adults, $8 for children 12 and under, and $5 for Seniors. Skate rentals are $5. When you get hungry try a pizza from the Pomodoro located inside the Ice House, or head to our favorite haunt for tasty seafood, Ford’s Fish Shack. You’ll find a fun alternative to Northern Virginia ice skating at the Washington DC National Sculpture Garden. During the day you can skate, then visit the large scale sculptures by major artists that surround the rink. At night, enjoy the festive lights. The rink is open from mid-November to early March. Adult skating is $9 for 2 hours, $8 for children 12 and under. Skate rentals are $4.00 plus $.50 if you want to rent a locker. Frequent skaters should consider the $195 season pass. The skating rink is open daily except holidays, weather permitting. Follow the link for details on hours, lessons, and special events. 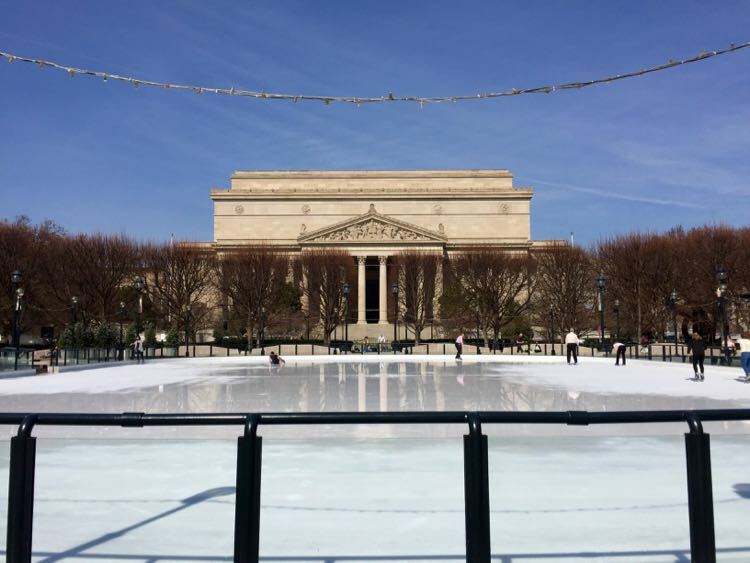 Skating is just one of our picks for a DC holiday day trip. Better yet, plan a US Capitol area staycation to visit the Newseum and other area sites. 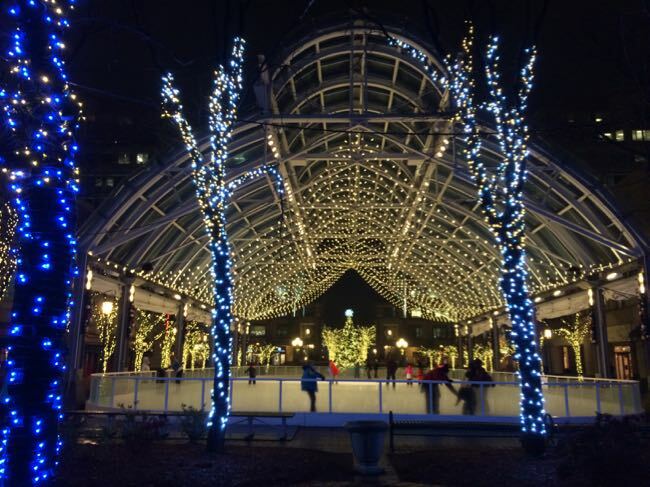 What’s your favorite Northern Virginia ice skating destination?